Indonesian photographer Elizabeth Wirija has an interest in the way fashion — at its most whimsical peak — can reflect, and raise larger conclusions about, society. Her last photo series, "Alien Children," imagined a world where colorful mythical creatures could coexist, and now "Conjoined" examines relationships using hair that's literally shared by two different bodies. 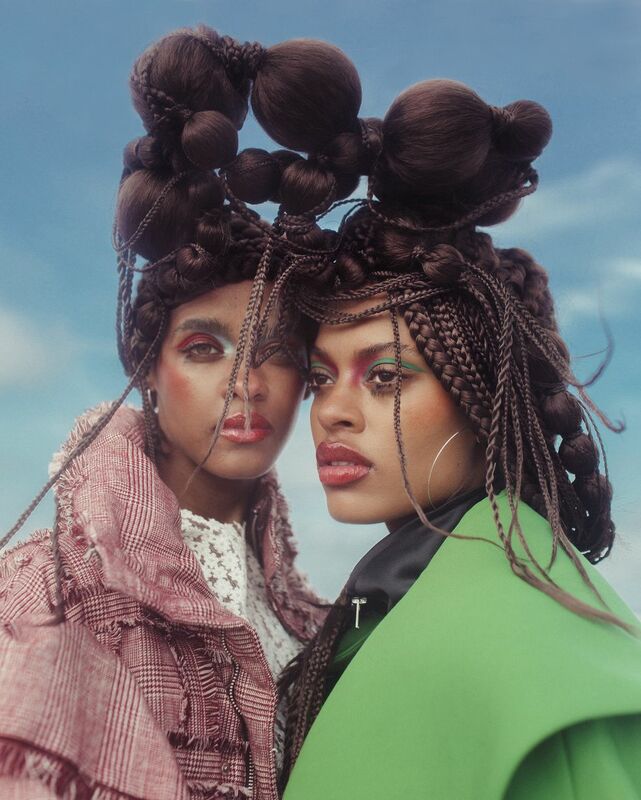 "Conjoined presents two women connected by the root of their hair, interacting with the world and with one another," Wirija says. "It accentuates their strong bond together. Their movements and demeanor complement their existence. It will flow together as a fluid think piece about how we express our multiple selves and the different ways we perform in certain contexts." She continues, "I find myself conditioned to be attached to certain versions of myself that I need to perform in different contexts due to social requirements or emotional especially wielding my existence as a person of color in a systematic world. There's something to be said about how we connect with one another too that is signified in the appearance of being physically attached. This connection have various foundations such as our similar identities, struggles or experiences that ultimately brings people together and how we move forward and be able to function in an environment that is not built for our success." Check out Wirija's "Conjoined," below.